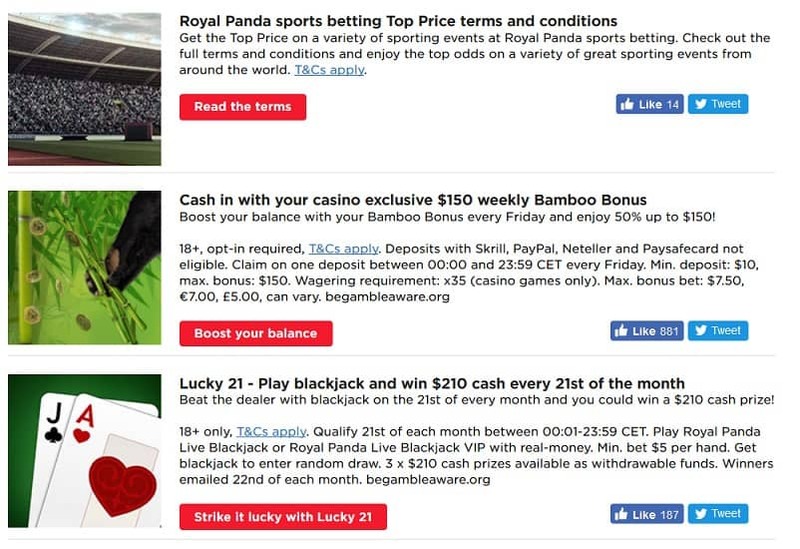 Royal Panda already has much experience in the gambling industry being its part since 2014. It has both licenses in Malta and in Great Britain and is therefore under strict supervision. 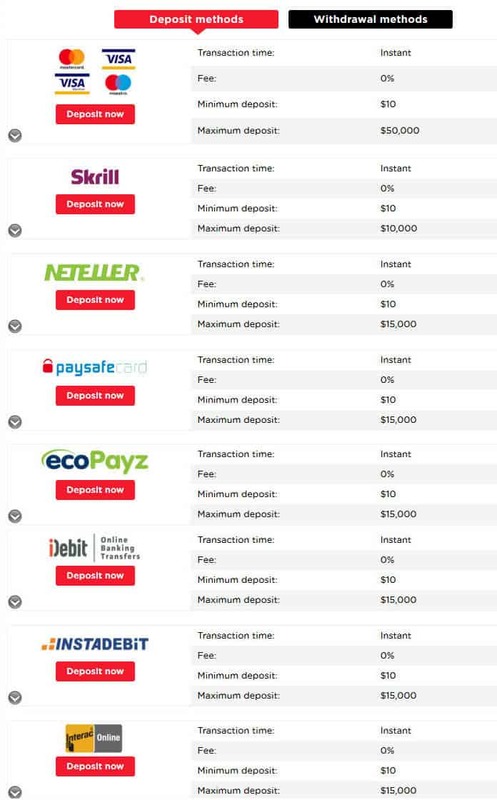 Here at Royal Panda Canadians have many payment options to use: classic Visa/Mastercard, Skrill, Neteller, Paysafe, ecoPayz, iDebit, Instadebit, Interac and others. To withdraw your winnings there are less options – Visa/Mastercard, bank transfer, Neteller and Skrill. 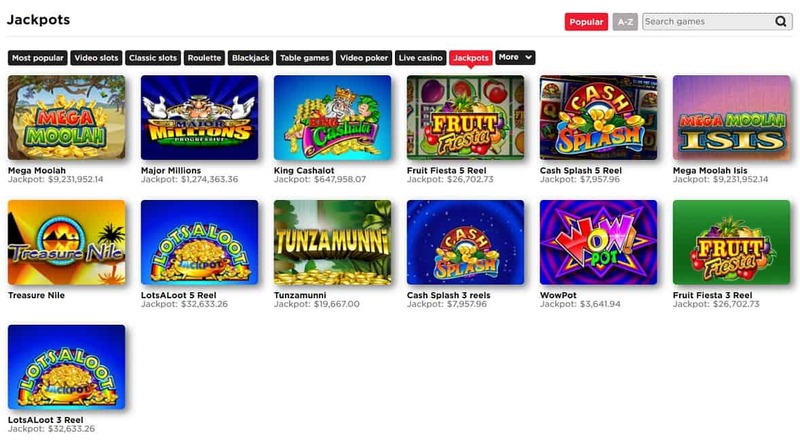 If you are a fan of video slots, we can tell you that you have a wide choice here. 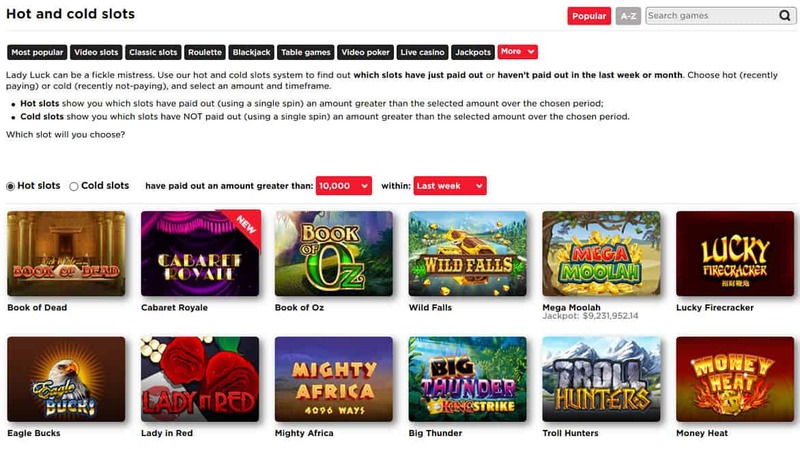 Royal Panda has no less than 400 different online slots to fit every taste – classic slots are in separate tab. They offer slots from different providers. The most famous developers are present, but also the lesser known. Also, you can use “Play for fun” option to see game’s interface and design before spending cash on it. Of course, other gambling games are all here including live ones: roulette, blackjack, poker, baccarat. You can choose whether you want to play live or against the computer. The live part is controlled by Evolution Gaming, which guarantees the best player experience and reliability. For players who are into progressive jackpot hunting – there are few here. Especially large jackpot are from Microgaming. Well-known progressive jackpot videoslots like the Megah Moolah and Major Millions can easily account for millions of dollars! By the way, Royal Panda gives you an opportunity to know which slots paid out in the last week or month. That is something, we must say. Using “Hot and cold slots” feature you get info to make a better choice and outsmart Lady Fortune. For sport betting fans there is a whole special section so if there is a big sport event is coming – don’t miss out on a winning chance. Mobile version of casino is user-friendly and pretty good, actually. The overall layout looks neat and well-organized. Let’s take a look at bonus offers available for Canadian gamblers. Welcome bonus is pretty modest and simple here – you get 100% up to $100. So maximum you can get is $200. Well, it’s still nice to start. For sport bettors there is another welcome offer – deposit at least $20, place a bet/bets totaling at least $20 on any sporting event, or multiple events and voila! – get your free $20 bet to use. Additionally, there are promos and tournaments depending on a game (such as Blackjack Lucky 21 that gives you a chance to win every 21st day of Month) or a day of the week (for example, Friday 50% Bamboo Bonus). So take a look at promo page and claim your favorite bonuses. And don’t forget about Loyalty Points – by saving them you can go to Shop and buy some bonuses or real stuff like merch, Apple devices and other cool things. As we all know, good customer service is a vital importance in the online casino world. And apparently, they understand it well at Royal Panda. That’s why in addition to FAQ section you can use real help such as chat, e-mail & telephone.